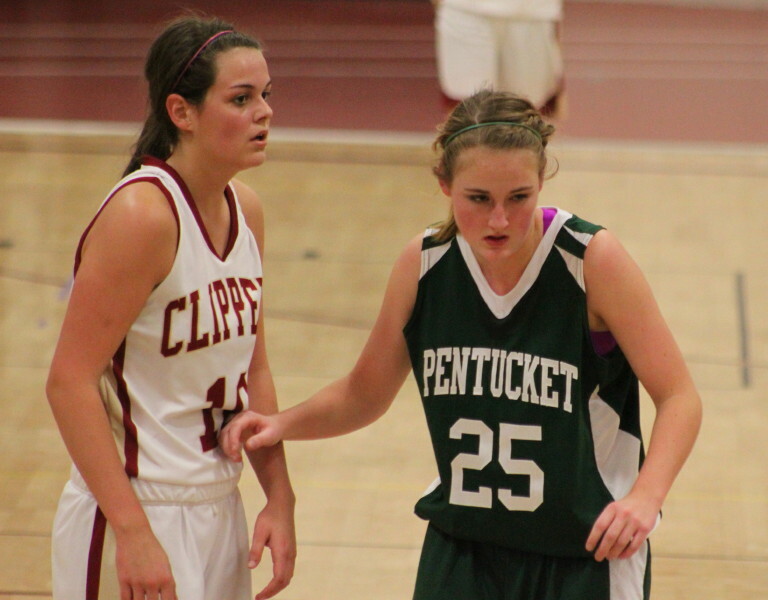 There was no denying Pentucket (23-4) this time around. 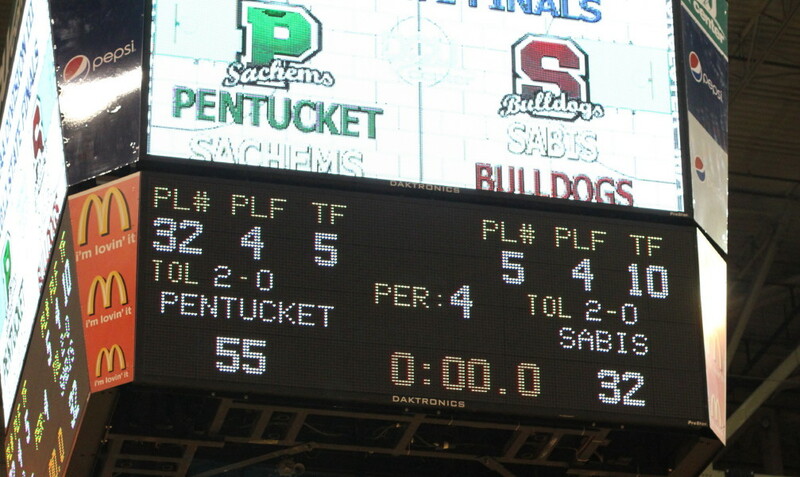 Same building two years earlier the Sachems lost in the state finals to Lee. 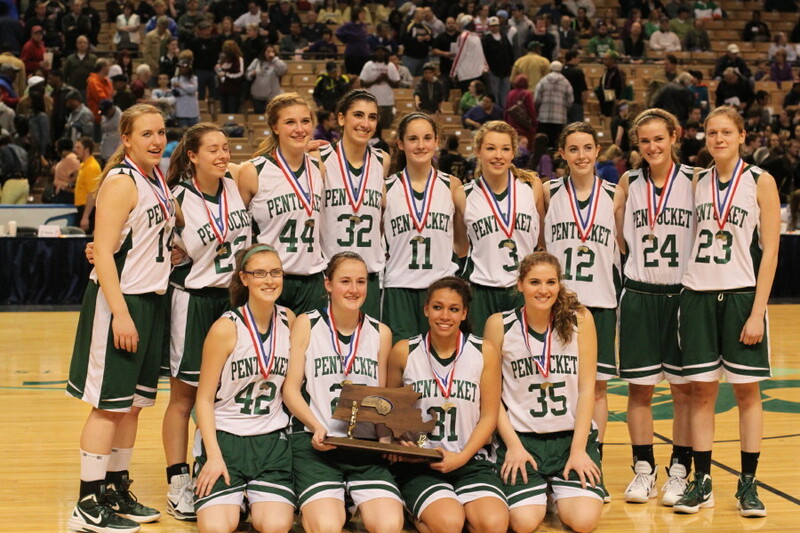 Pentucket led from beginning to end in this one capturing the Division 3 crown for the first time. 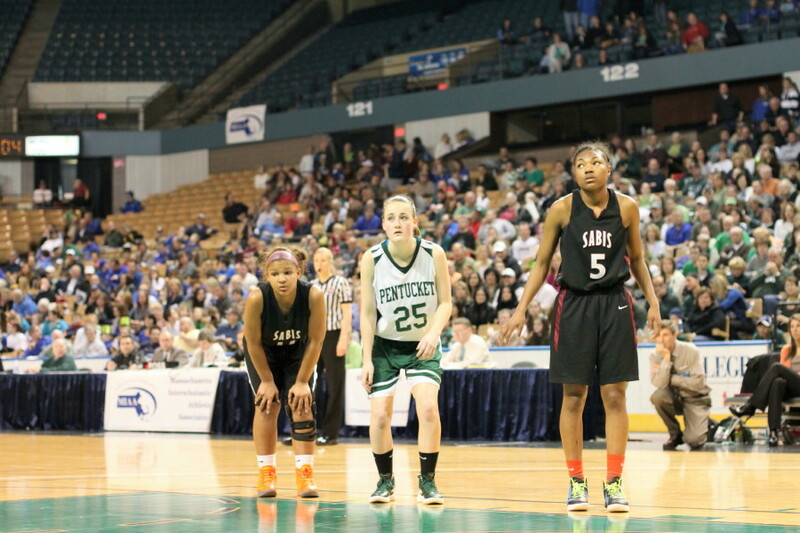 The title game was one of six played on Saturday at the DCU Center in Worcester. 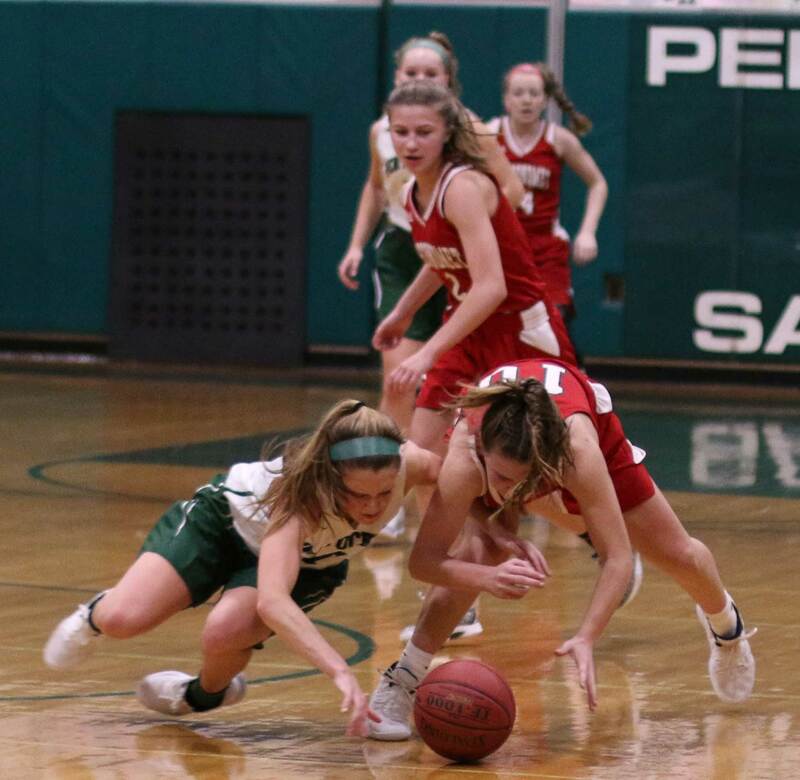 The Sachems led from beginning to end thanks to a combination of distracting defenses and take-what-you-give-us offense. 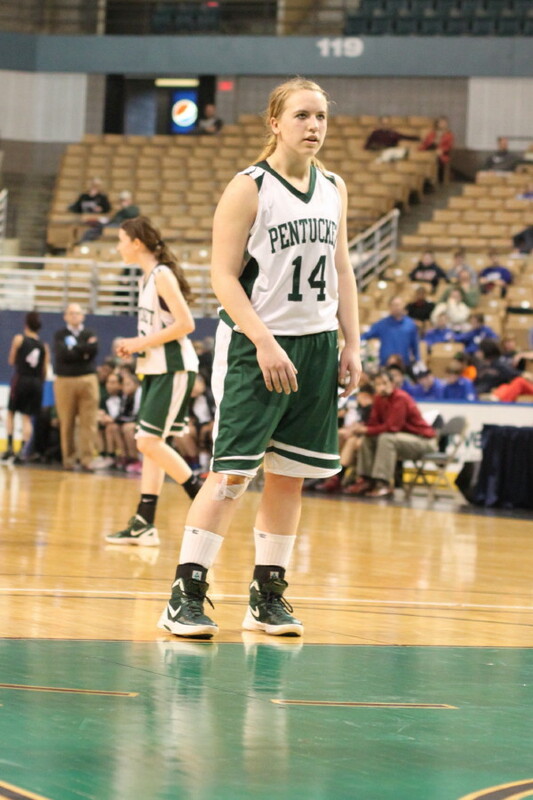 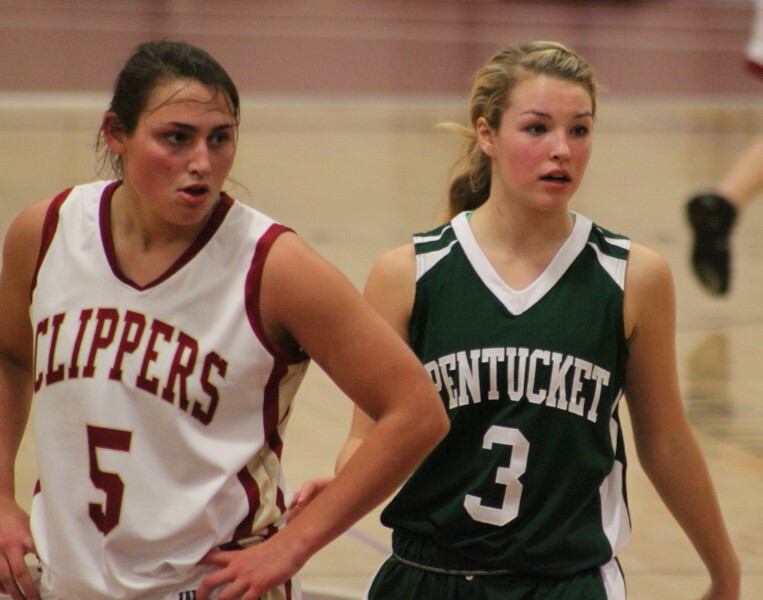 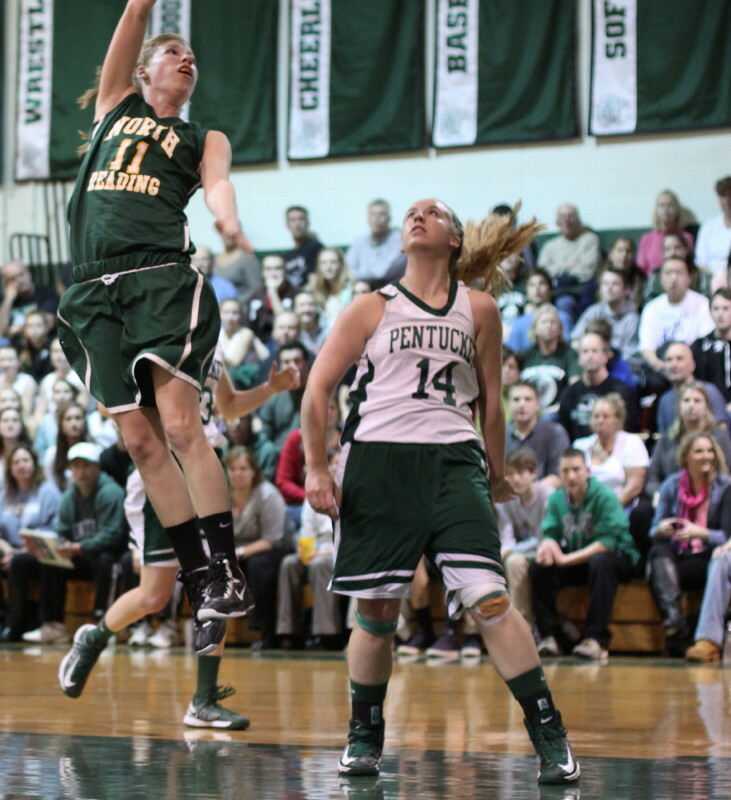 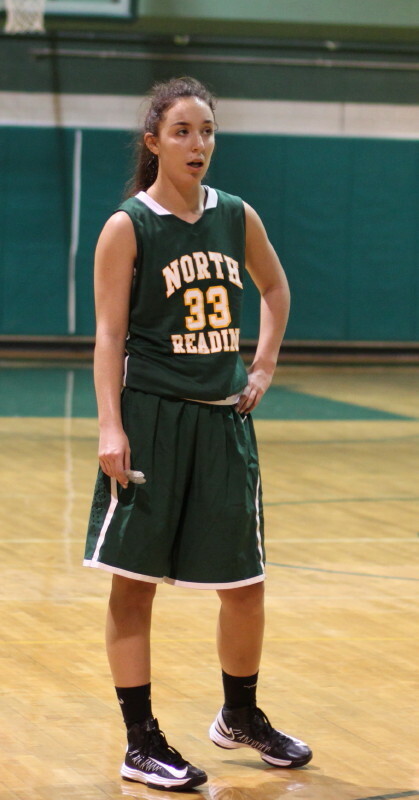 Senior Sarah Higgins (22 points) had a huge game for Pentucket. 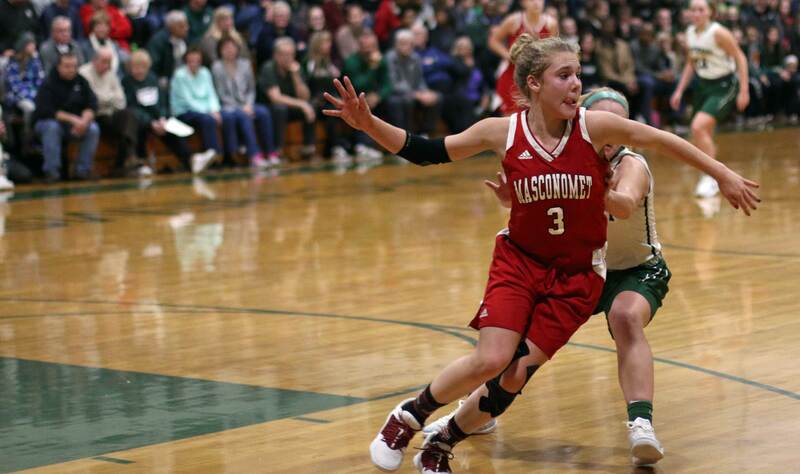 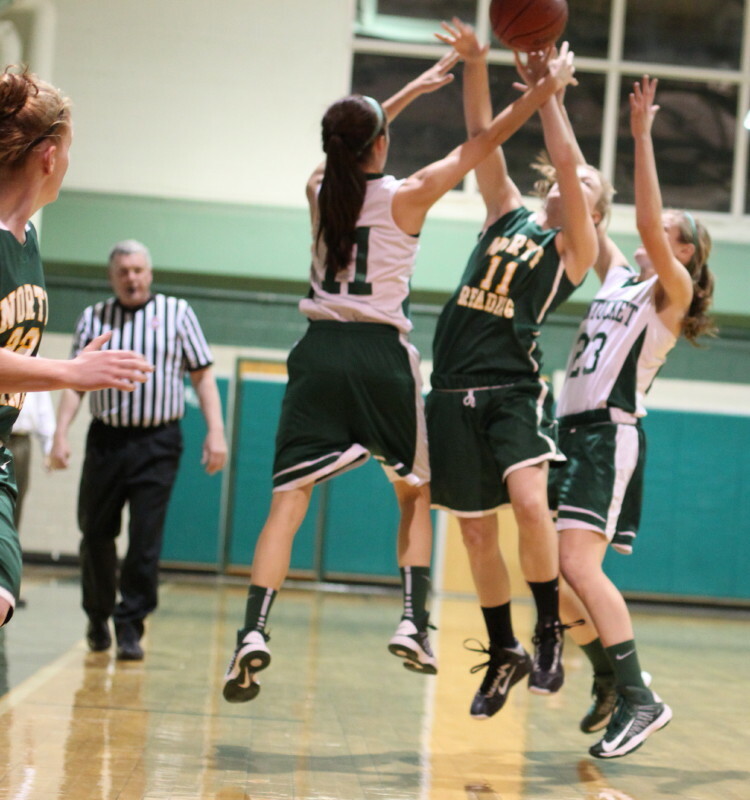 It seemed as if every time she wasn’t making a layup she was getting fouled. 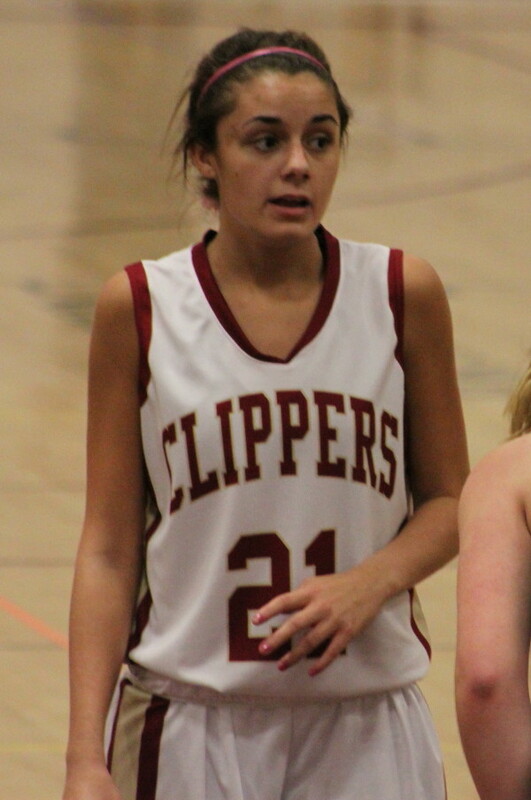 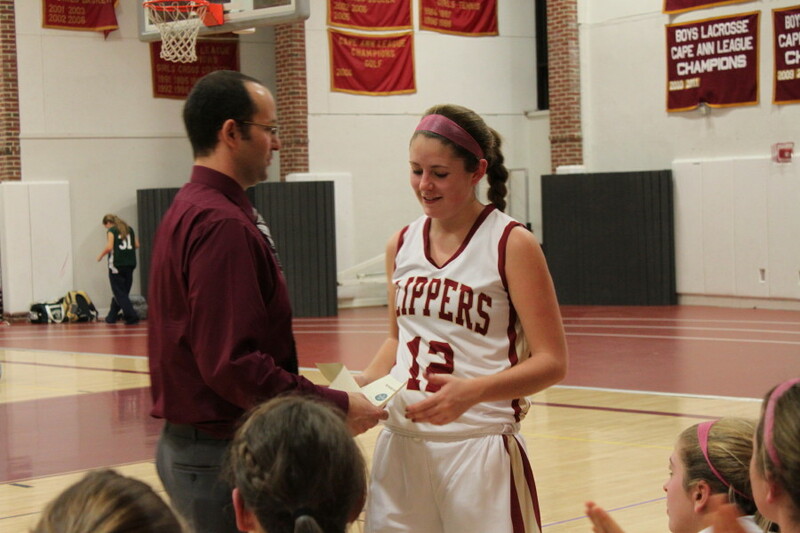 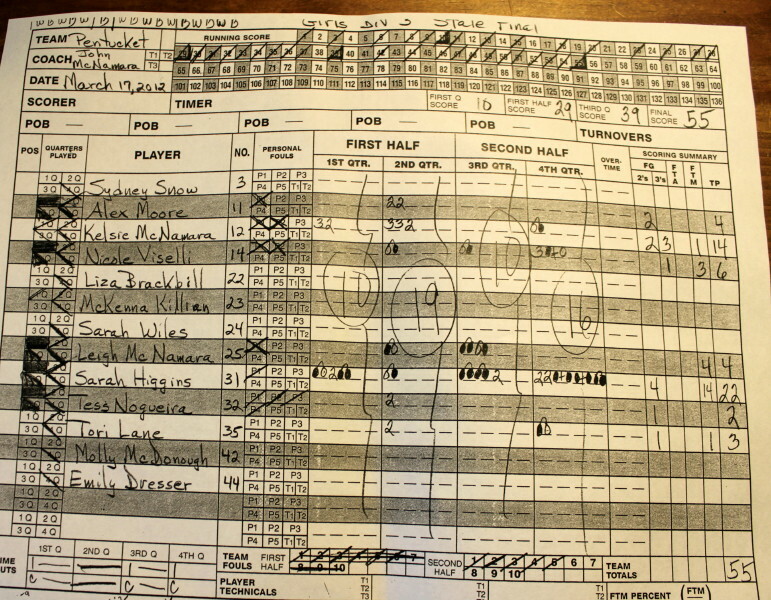 She made her last eleven free throws in a row and totaled fourteen for the game. 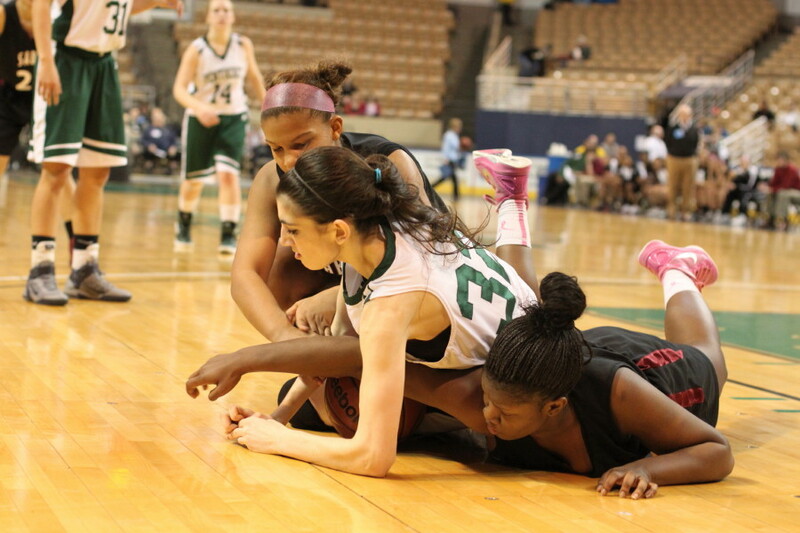 Sabis (20-6) gave up the first six points and were down 20-10 after a Tess Nogueira layin with 4 ½ minutes left in the second period. 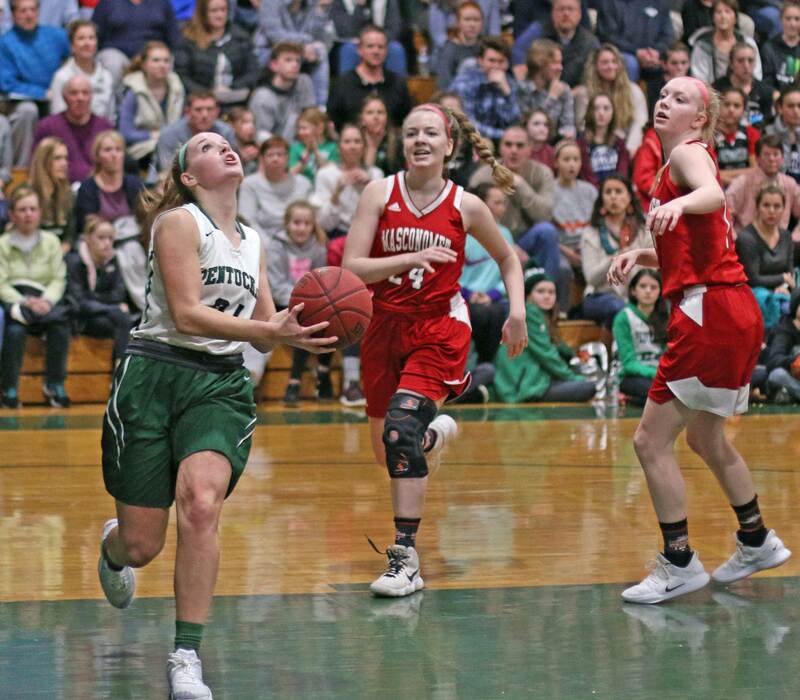 The Lady Bulldog tandem of Jazmine Collins (10 points) and Shyanne Wellington (10 points) kept Pentucket from turning this one into a rout. 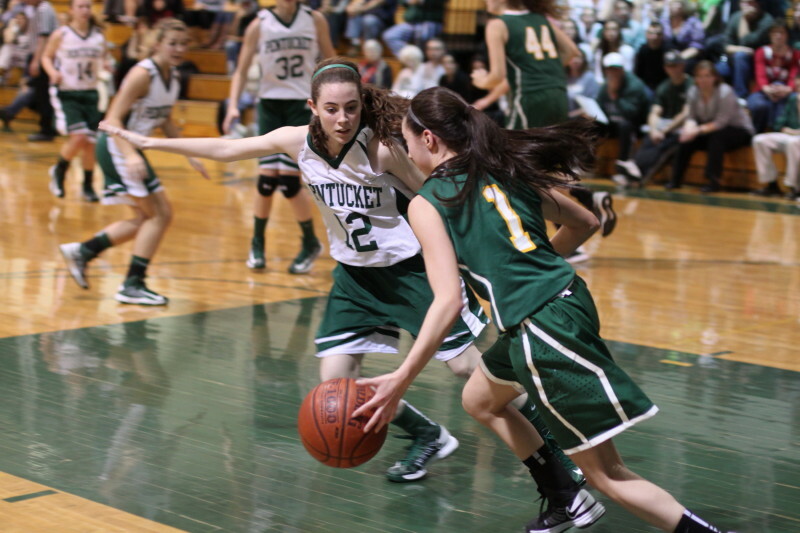 The Sachem lead was 29-17 at halftime and 39-27 early in the final quarter. 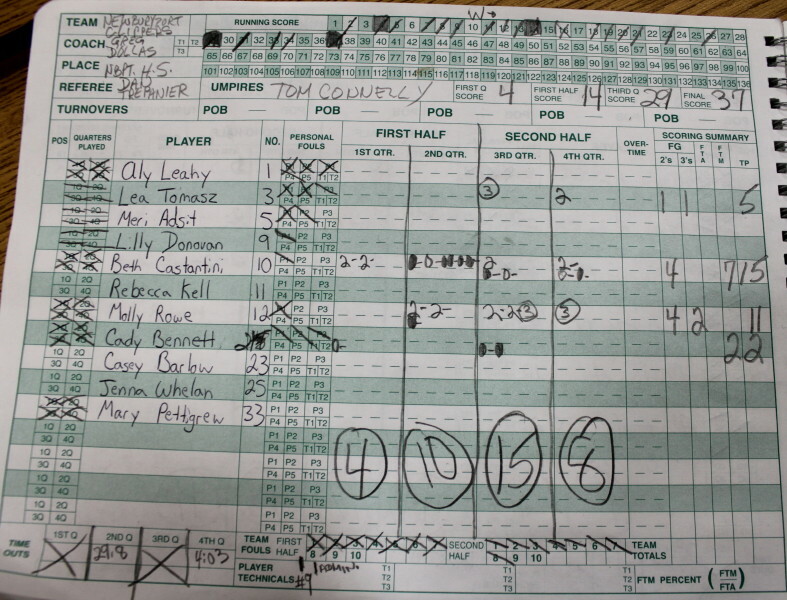 The game seemed, at the time, far from over for the charter school from Springfield. 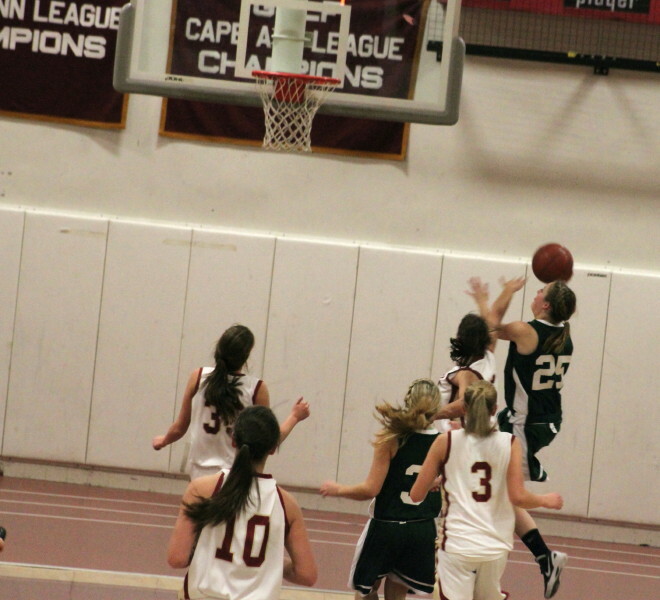 However, a Coley Viselli triple followed on an assist from Alex Moore and up went the team from West Newbury, 42-27, with 5 ½ minutes left. 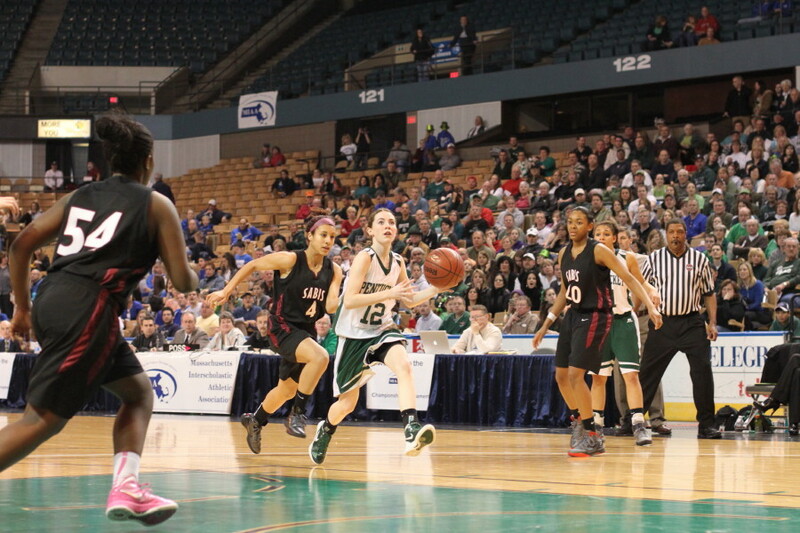 A couple of drives later by Sarah Higgins and that lead was 46-29 with four to go. 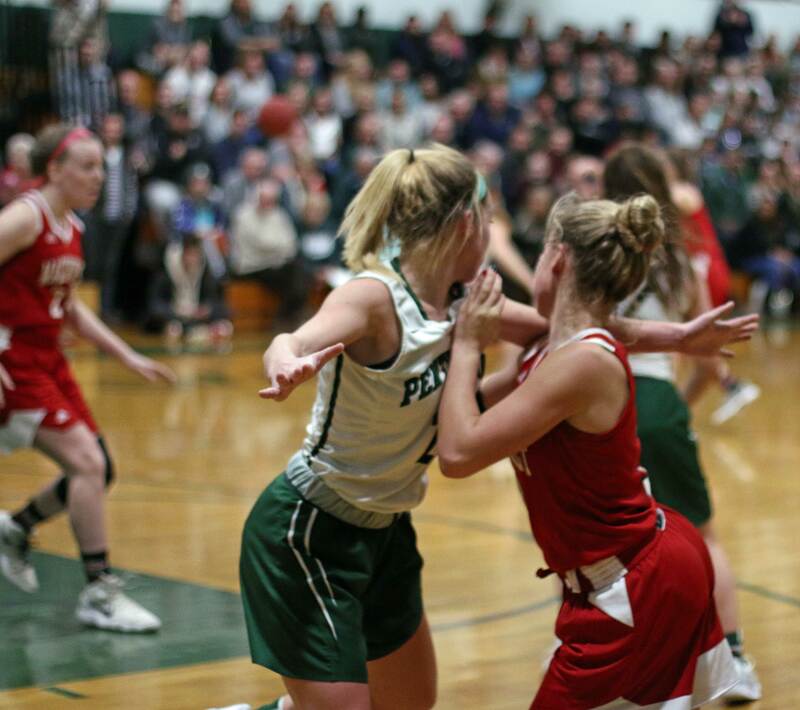 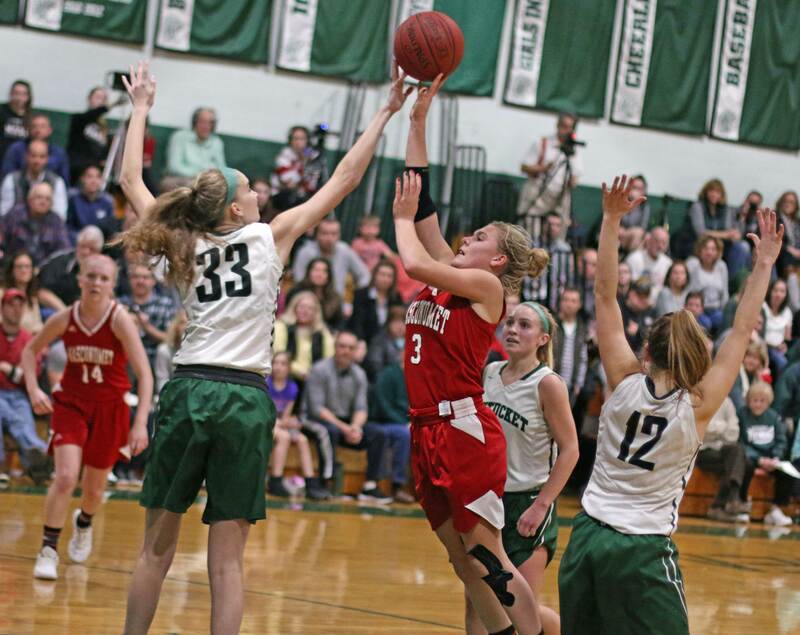 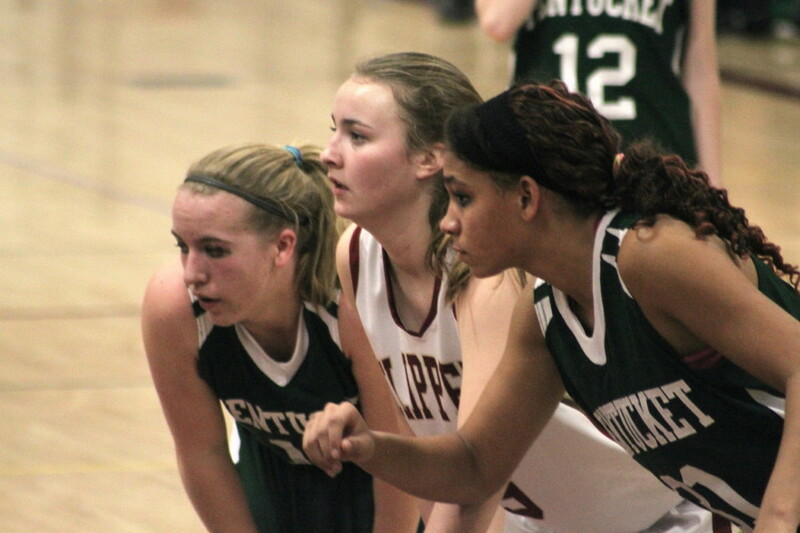 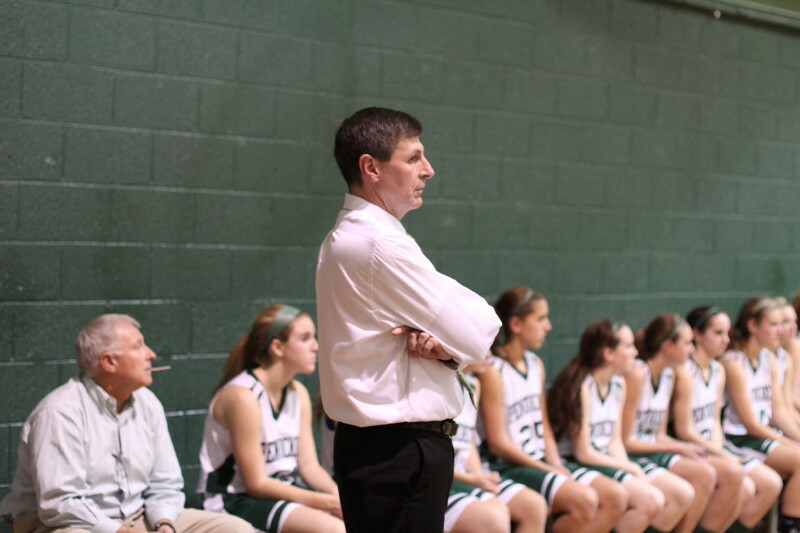 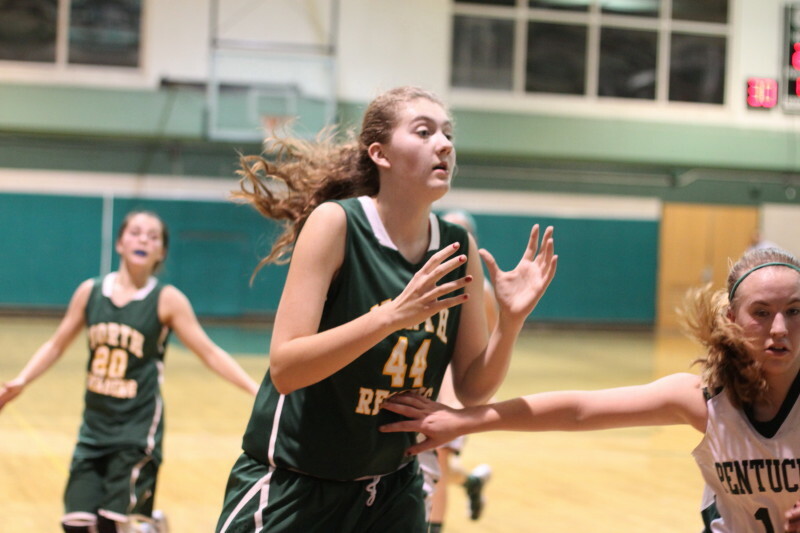 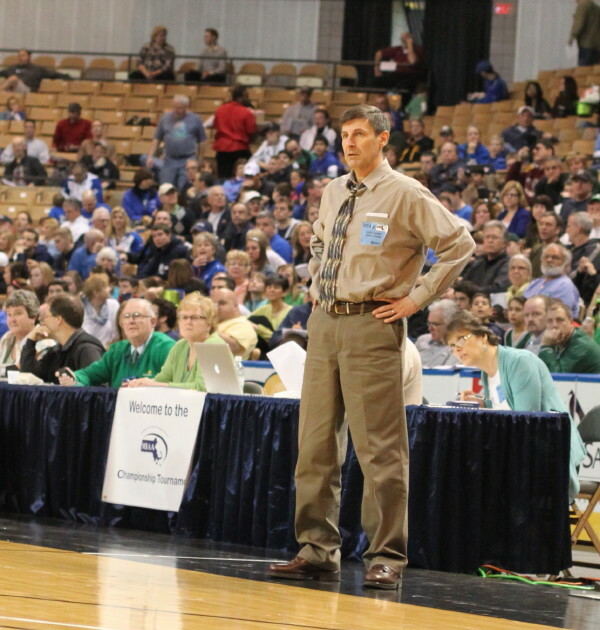 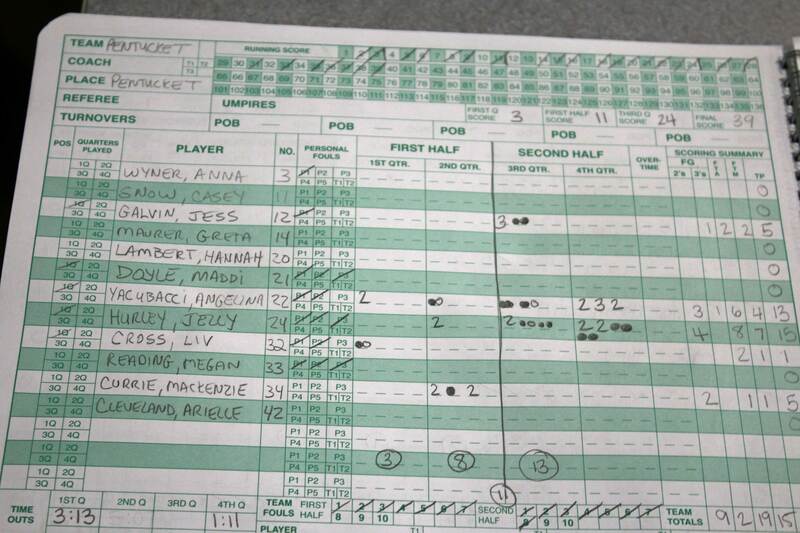 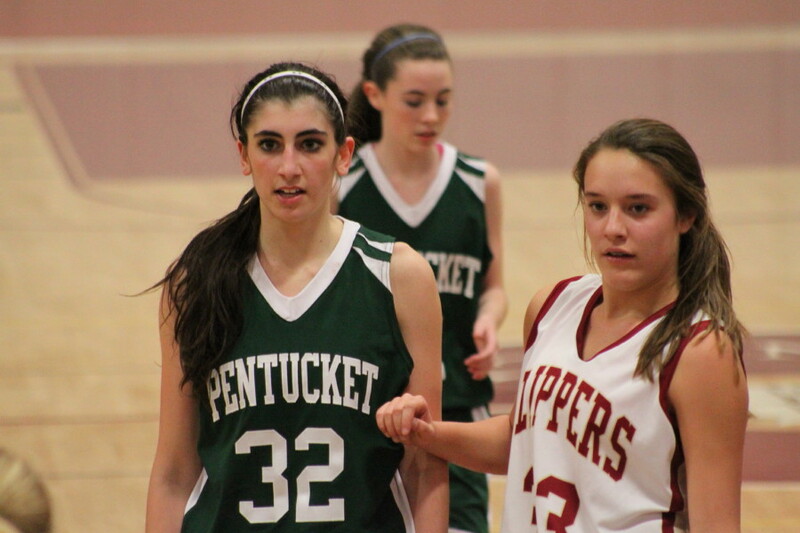 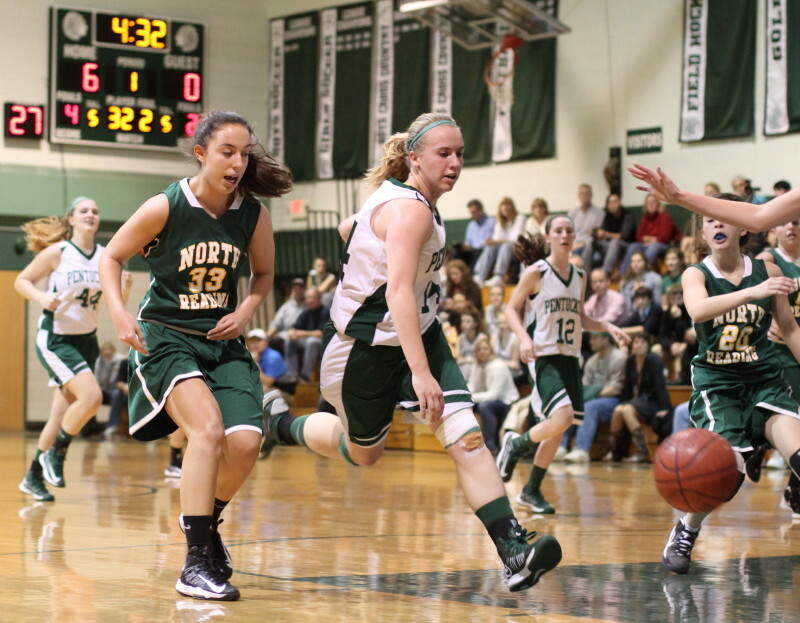 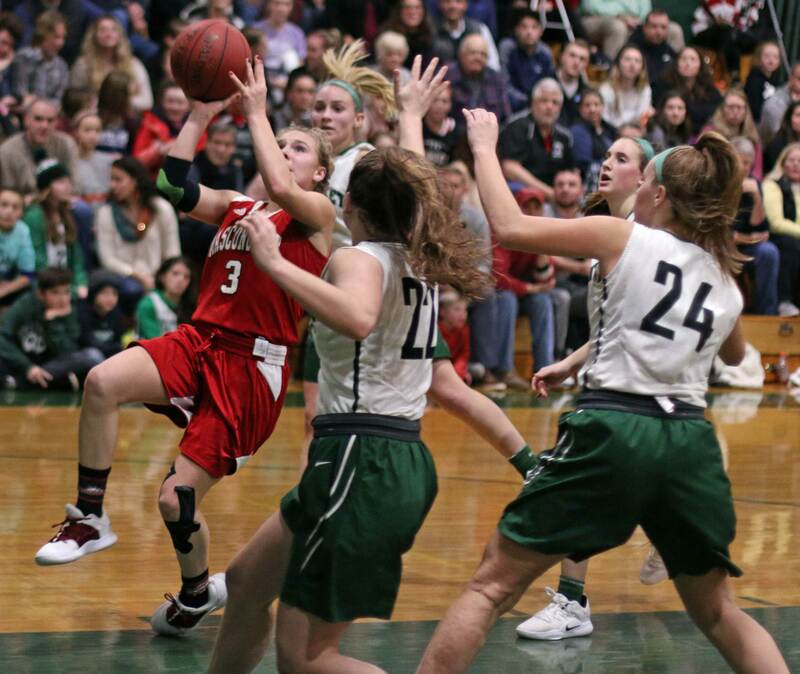 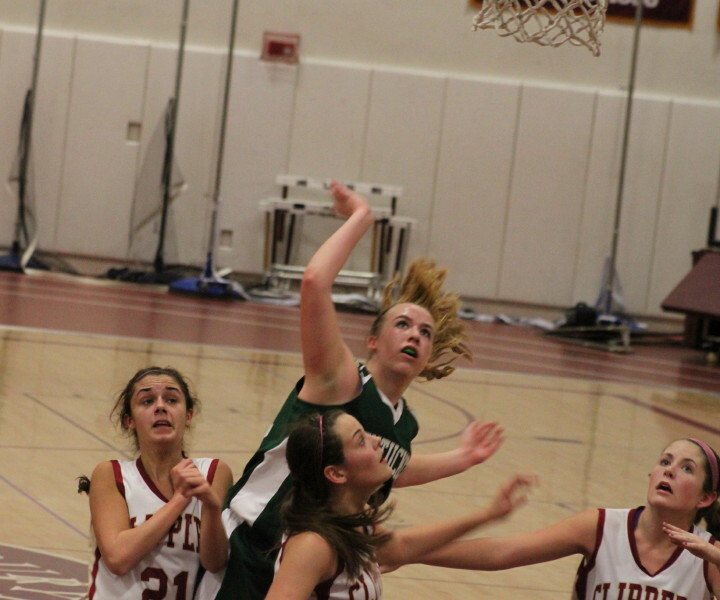 Sabis was forced to foul the rest of the way and Pentucket cashed in nine times. 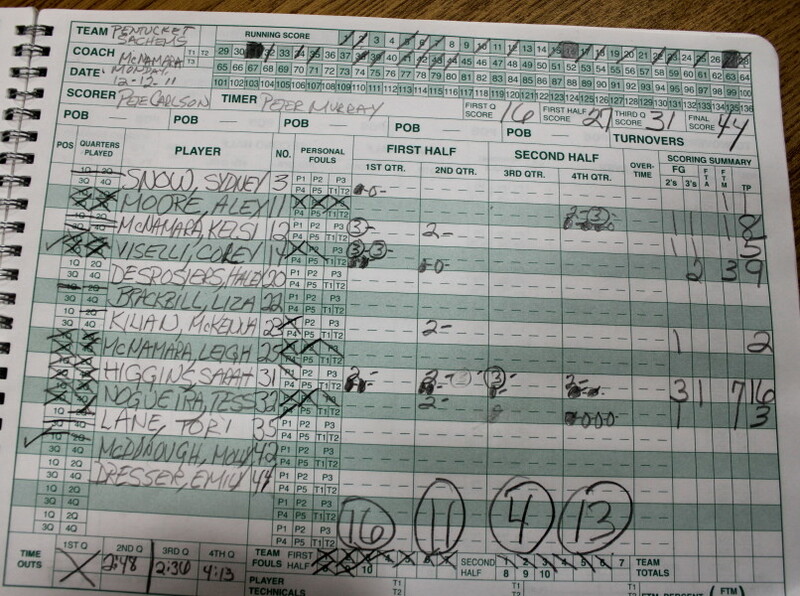 The final score was a misleading, 55-32. 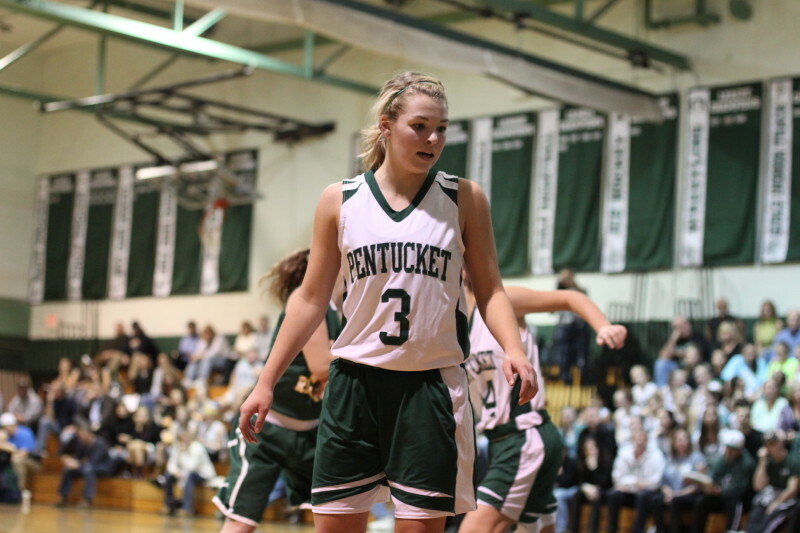 Kelsi McNamara (14 points) connected on three long ones in the first half. 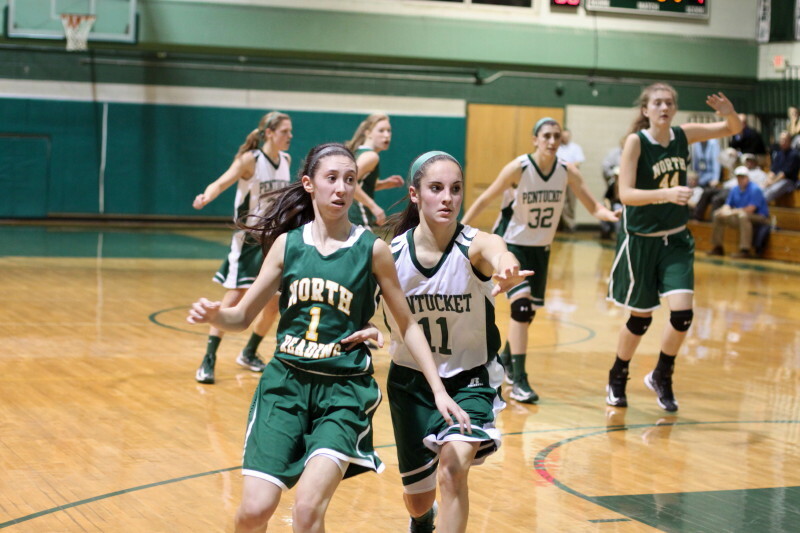 Equally impressive was the willingness of the 5-5 freshman to take the ball to the basket a couple of times. 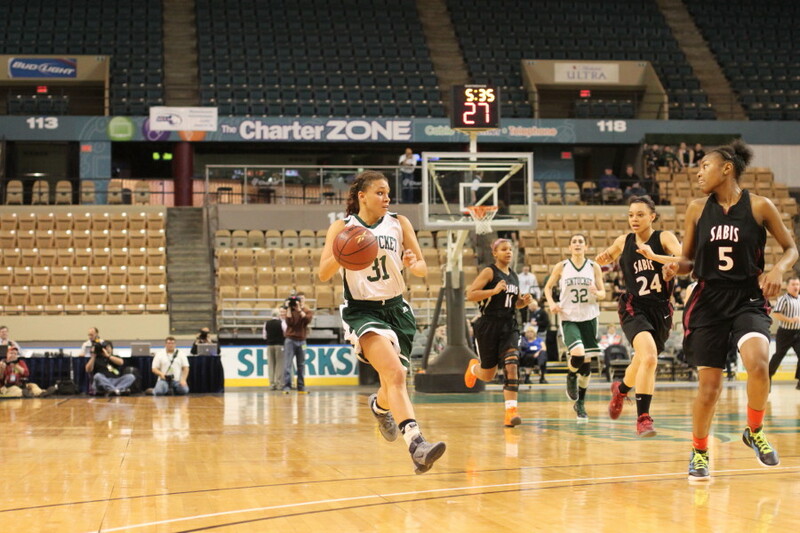 The Sabis cause was hurt when Janaiya Sanchez went out with an ankle sprain for most of the second period. 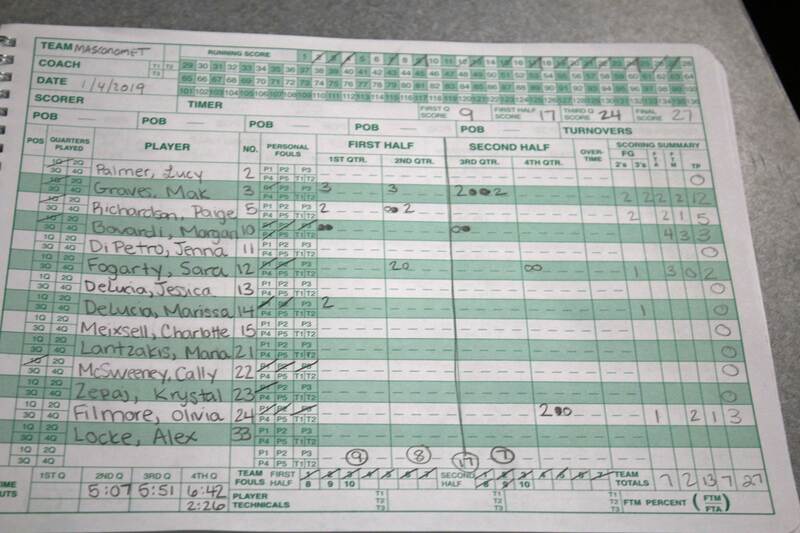 The 5-7 freshman played in the second half but was definitely limping. 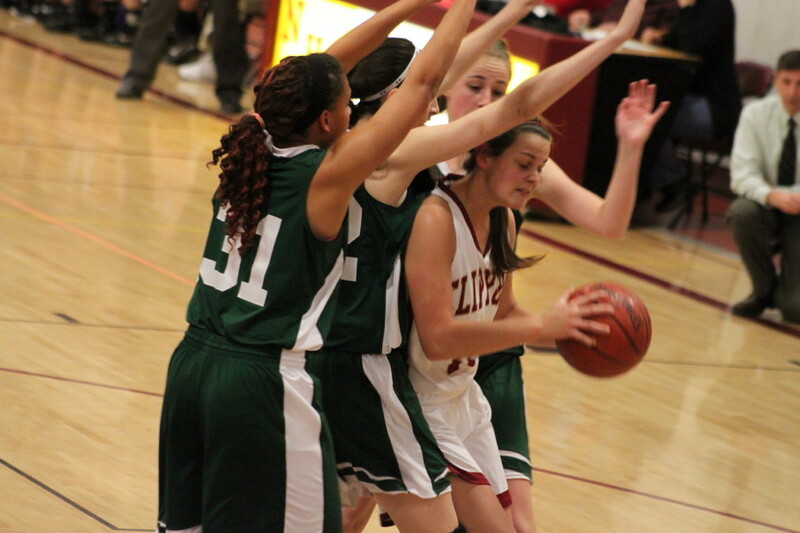 She has been on the Sabis varsity since 7th grade. 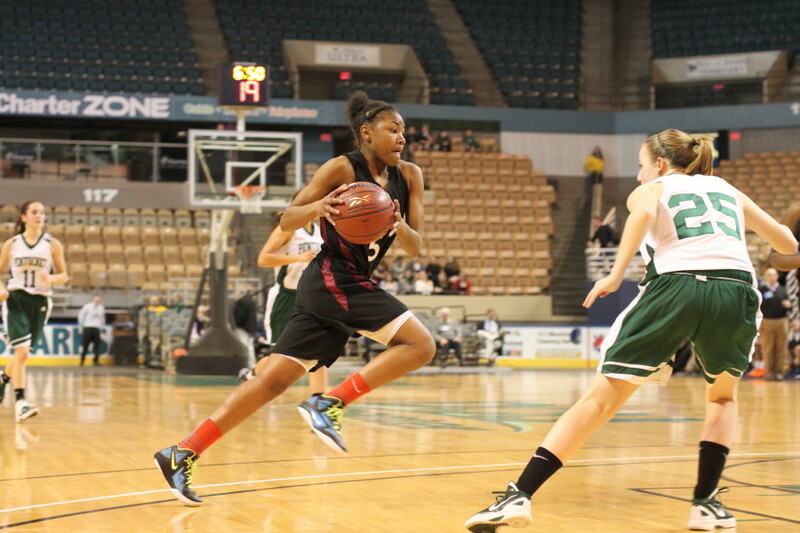 Jasmine Collins had several impressive coast-to-coast drives. 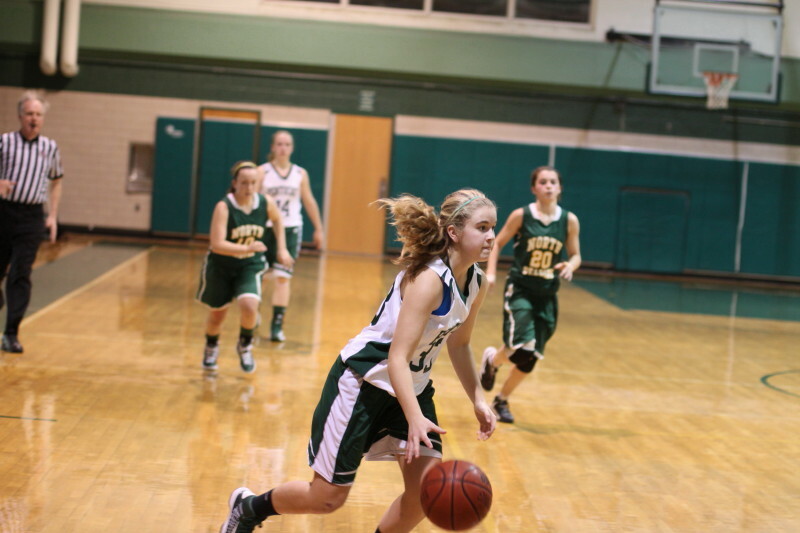 The Lady Bulldog junior started this season with over 1000 points. 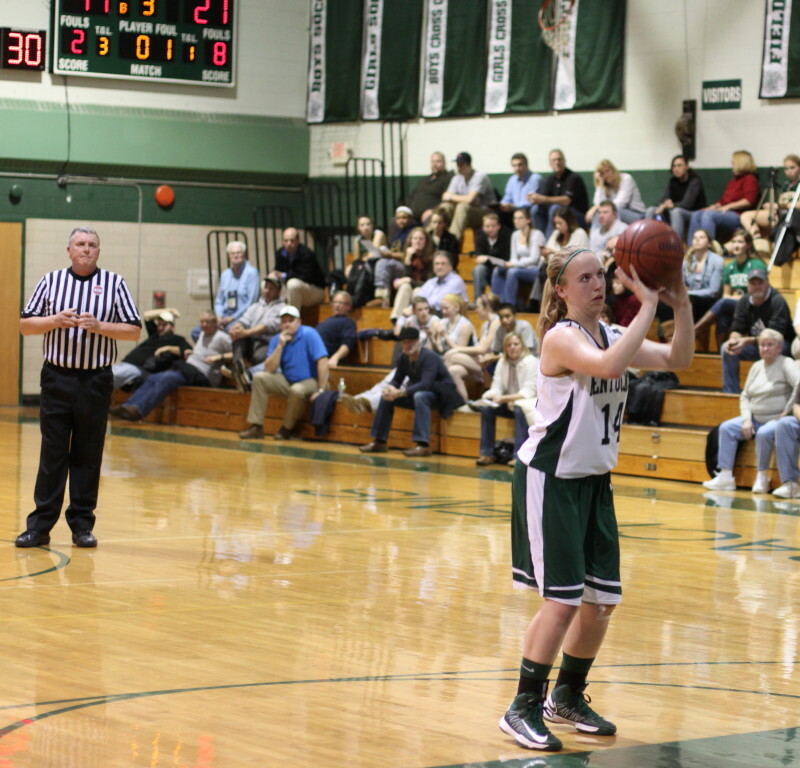 The unpleasant memory for her in this one, besides the loss, could be making just one of eight free throws. 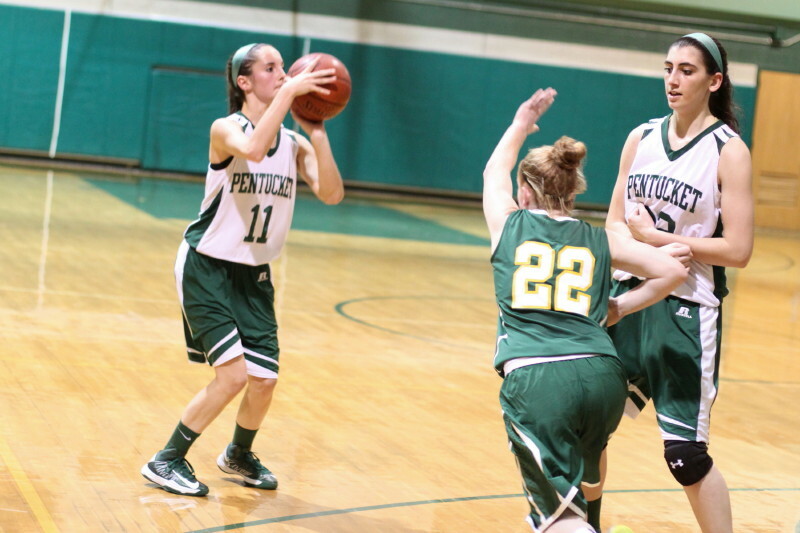 I always enjoy watching the Pentucket defense in action. 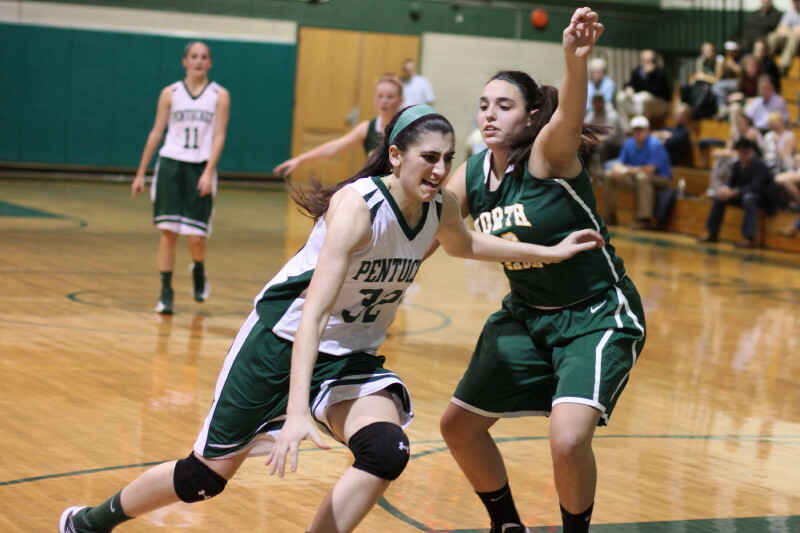 Against teams that don’t handle the ball well, down twenty usually happened in the first half. 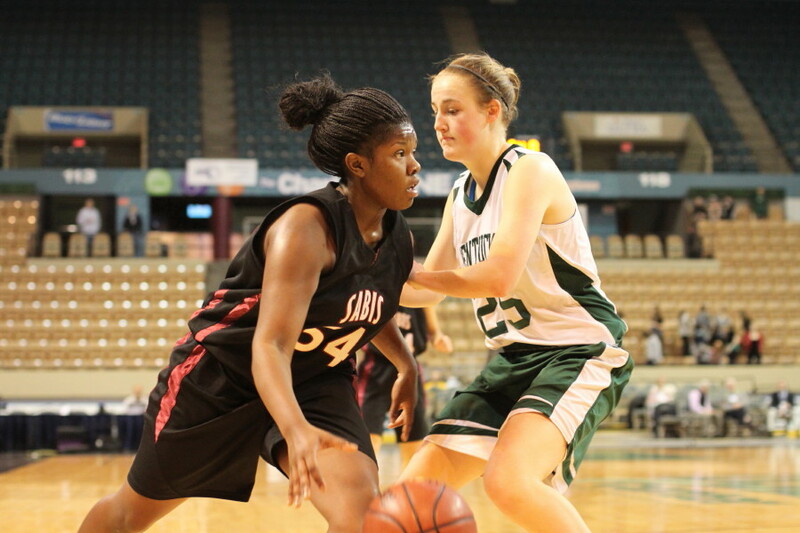 Credit Sabis, they had girls (Jasmine and Janaiya) who could dribble the ball but they ran into trouble trying to find open teammates. 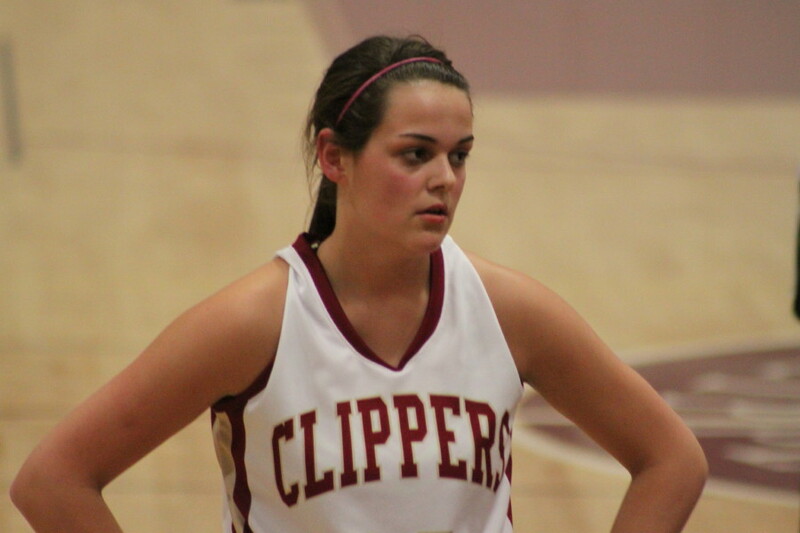 Inbounder Coley Viselli hit Sarah Higgins on a couple of deep fly patterns versus Sabis pressure. 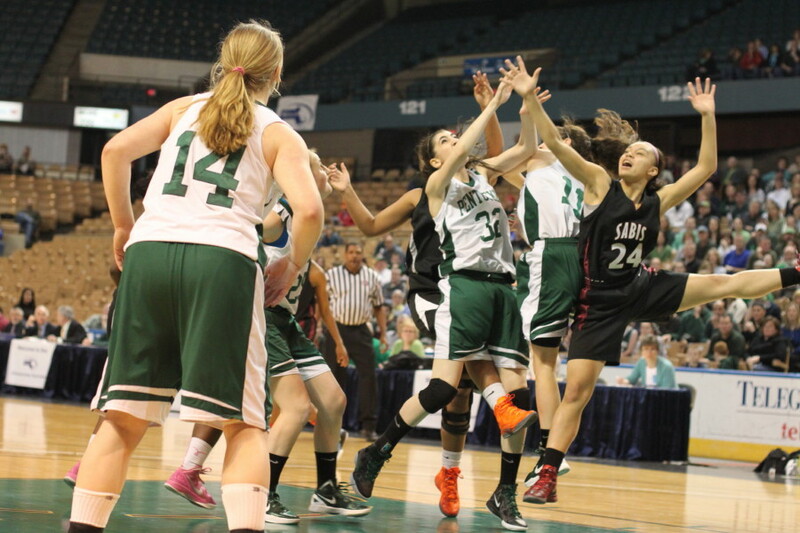 Sabis won their first D3 West title ever this season. 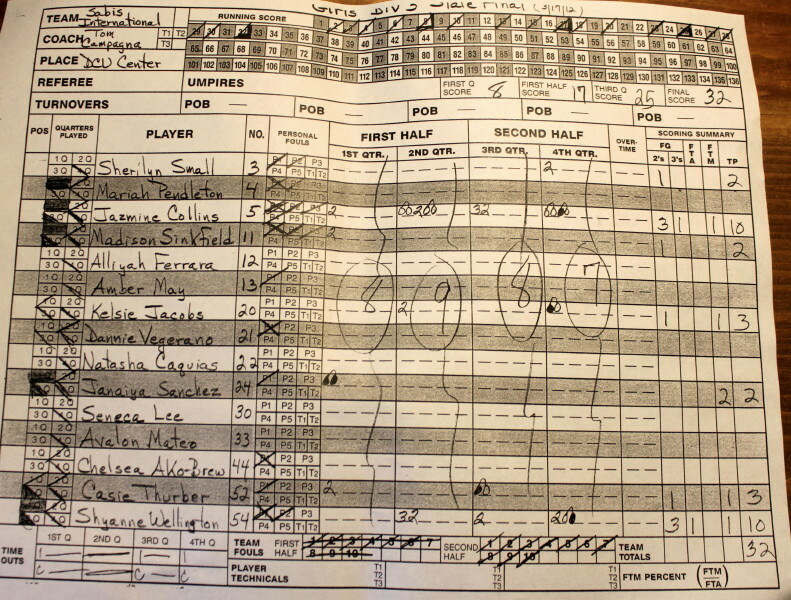 They had won eleven straight games before this game. 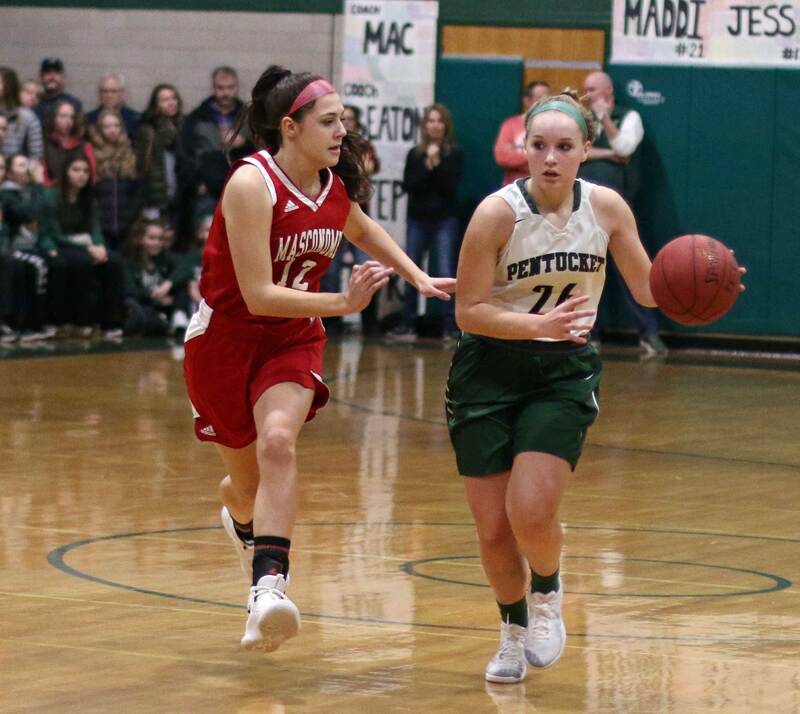 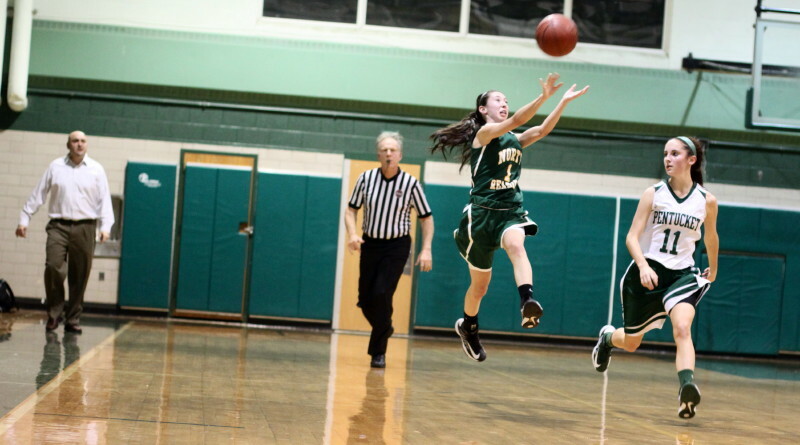 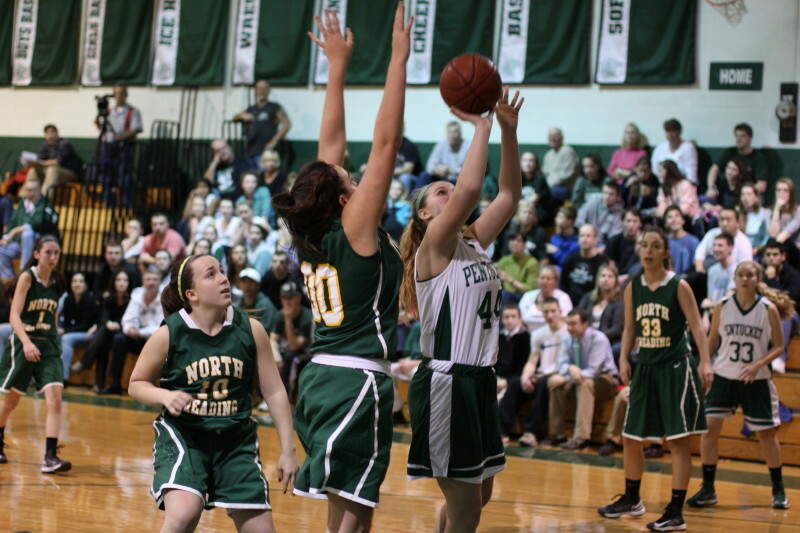 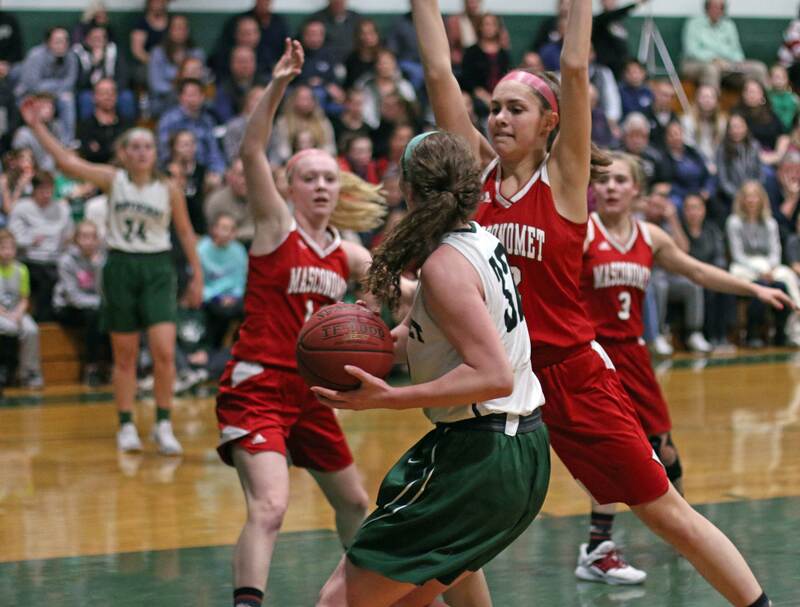 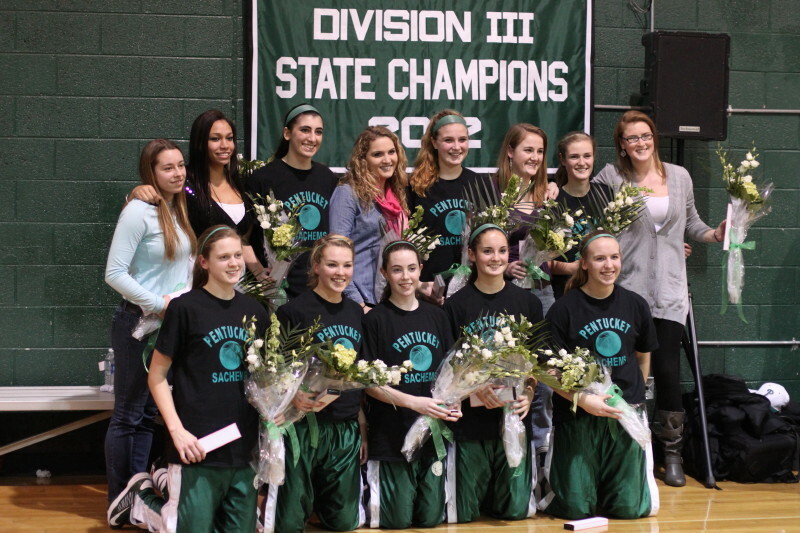 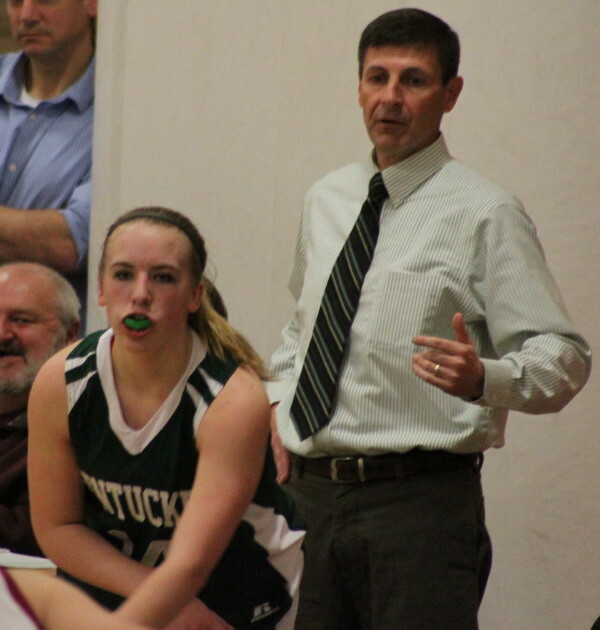 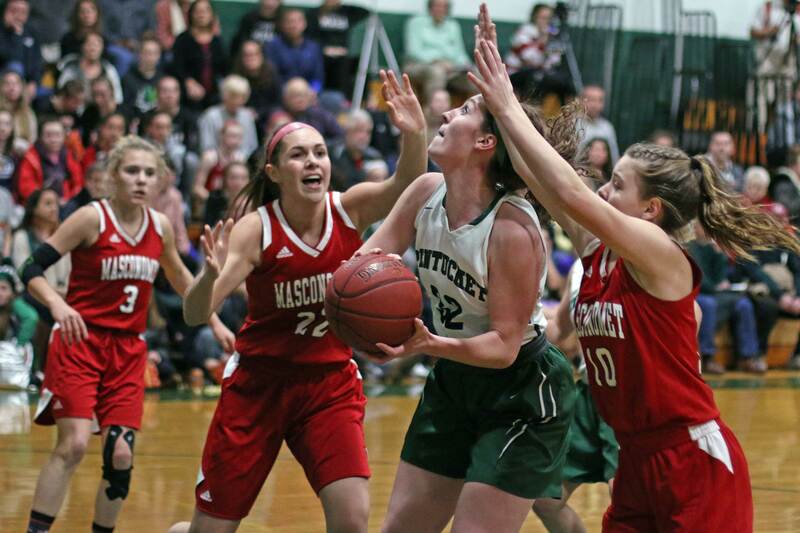 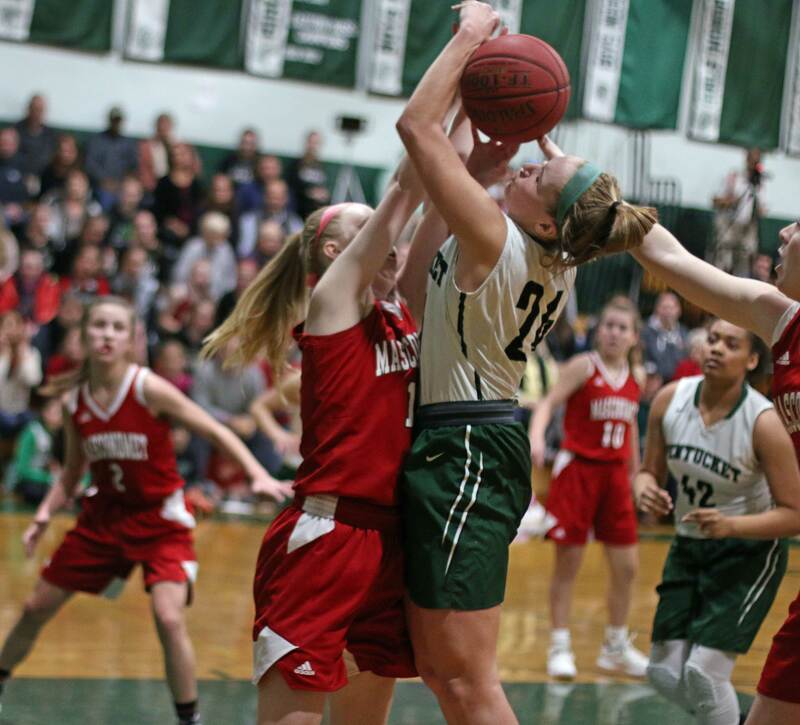 Pentucket ended on a fifteen-game winning streak. 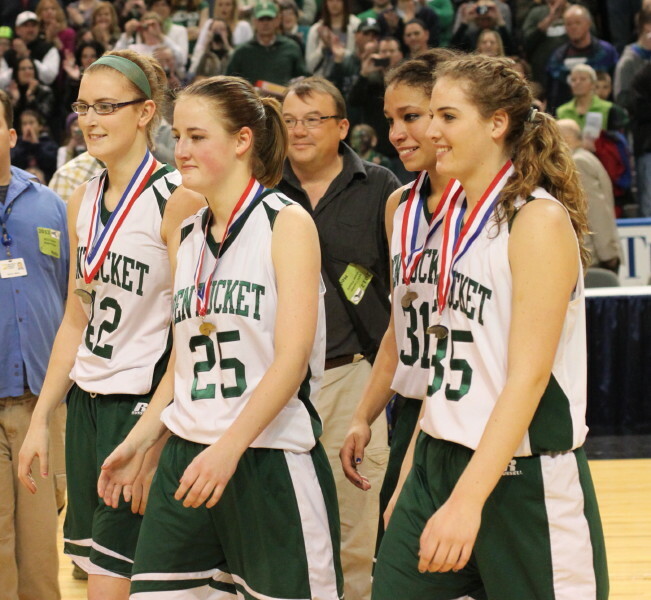 They will not be able to replace Sarah Higgins next season but they have many of their other key pieces back.